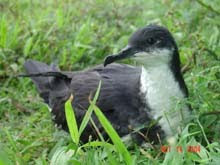 Three seabirds in the Hawaiian Islands prompted a utility cooperative on Kauai to submit a draft Habitat Conservation Plan and an Environmental Assessment for public review. The HCP and EA are part of Kauai Island Utility Cooperative's application for an incidental take permit for bird species protected under the Endangered Species Act. The public may review and comment on the documents until Nov. 29. 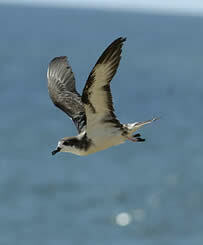 The three seabirds breed on Kauai, feed in the open ocean and spend the majority of the year at sea. Adults generally return to their colonial nesting grounds in the interior mountains of Kauai beginning in March and April and depart beginning in September. 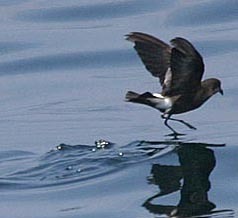 Fledglings – young birds learning how to fly – travel from the nesting colony to the sea in the fall. Both adults and fledglings are known to collide with tall buildings, towers, powerlines, and other structures while flying at night between their nesting colonies and at-sea foraging areas. These birds, particularly fledglings, are also attracted to bright lights that disorient them. Disoriented birds are commonly observed circling around exterior light sources until they fall to the ground or collide with structures, resulting in possible injury or death. KIUC has requested an incidental take permit because its lawful activities - generating and distributing electricity - will cause the occasional death of a bird during the operation and maintenance of its facilities during the next five years. The draft HCP describes KIUC's plans to "minimize, mitigate and monitor" incidental take. For many more details about the draft HCP and EA, visit the link above. 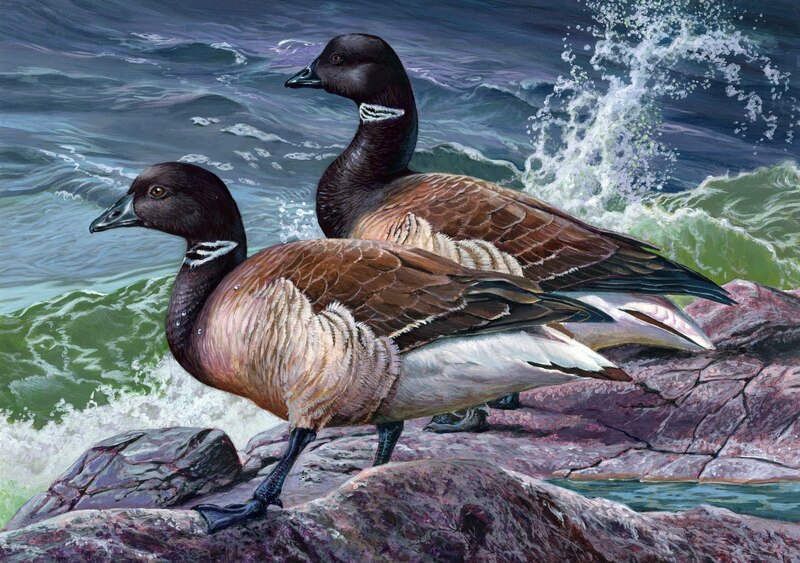 Today marks the first time that the Federal Duck Stamp Art Contest will take place on the Pacific Coast. That Bay Area bastion of liberalism, Berkeley, serves as the site for the two-day public event that focuses on a stamp that hunters must purchase each year to shoot legally. 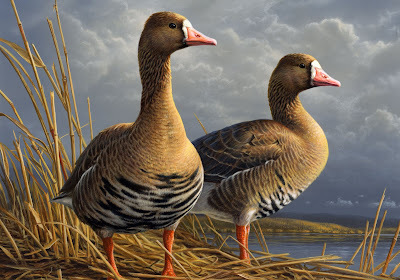 During its 61-year history, sales of the federal Duck Stamp have generated more than $700 million to purchase at least 5 million acres of habitat throughout the United States. From the $15 purchase, 98 percent of the proceeds go to Migratory Bird Conservation Fund to purchase acreage for the National Wildlife Refuge System. The protected wetlands and grasslands benefit waterfowl and many other groups of birds enjoyed by birders around the country. Saturday's agenda includes more art viewing and judging, with a panel of art, waterfowl and philatelic experts serving as judges. The winner will be announced close to noon. 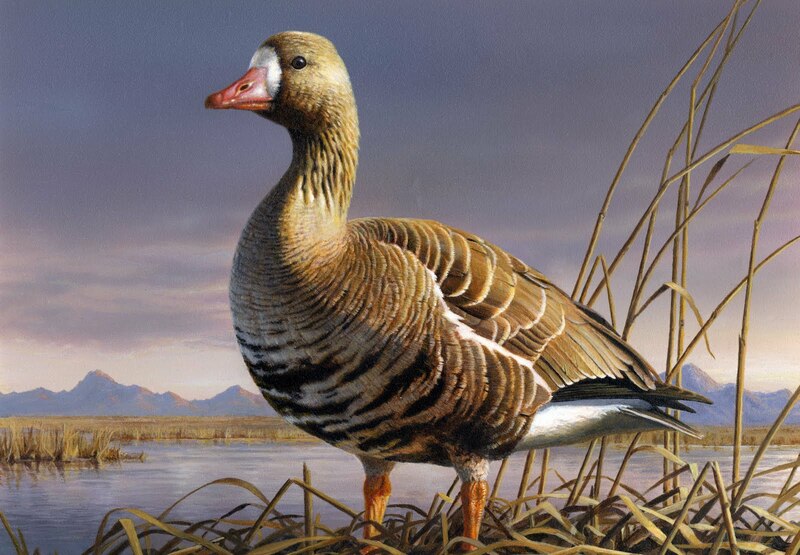 Before the announcement, visitors can join a bird walk at the Albany Mudflats and the Albany Bulb with Golden Gate Audubon Society or participate in a duck drawing workshop at Don Edwards NWR's Newark Slough Learning Center in Fremont. Later events on Saturday will "Amazing Refuge Race II" at Don Edwards NWR Visitor Center in Fremont, where teams of five will use a GPS unit to reach sites with specific coordinates and perform certain tasks. Prior registration is required on Friday: 510-792-0222 ext. 363. As part of National Wildlife Refuge Week, the schedule even offers a Sunday event: a birding picnic between 8:30 a.m. and 2 p.m. at Sacramento NWR with Altacal Audubon Society. 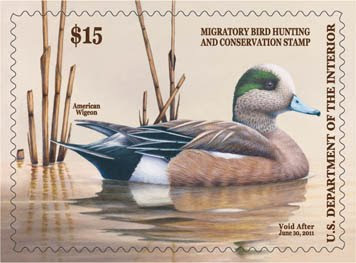 The 2010 Duck Stamp gives you free entry; otherwise, you get to pay $3 per car. More details are available from Mike at 530-624-4777. Birds and other creatures visiting or living within Topsail Hill Preserve State Park near Destin, Fla., will benefit soon from better water flow, thanks to the resumption of a restoration project interrupted by response efforts to the BP oil disaster in the Gulf of Mexico. Part of the Great Florida Birding Trail, the state park features more than 13 miles of shoreline and inland trails for birdwatching, and noted bird species include Snowy Plovers, Piping Plovers, Red-shouldered Hawks and Osprey. Acting Fish and Wildlife Service Director Rowan Gould said the project's continuation creates not just environmental but economic benefits for Florida’s Gulf Coast. “This Recovery Act project is part of a long-range plan to restore Topsail Hill Preserve State Park to its natural state, restore the proper flow of water, and encourage plants and animals to return and flourish,” he said. Located east of Pensacola and in Santa Rosa Beach, Topsail Hill Preserve State Park includes 14 communities such as wet prairie, scrub, beach dune and coastal dune lake habitats. The restoration work, funded by the American Recovery and Reinvestment Act, aims to re-establish the flow of surface and subsurface water. No doubt he meant the avian residents and visitors, too. The October issue of National Geographic focuses on The Spill, the common yet misleading name for the BP disaster in the Gulf of Mexico. More than a "spill," the Macondo well is thought now to have spewed 60,000 barrels a day for almost three months before engineers finally capped it. That means close to 5 million barrels of oil entered the waters -- and the majority likely has not disappeared. But the commission staff said that the government’s own data did not support such sweeping conclusions. A number of respected independent researchers have concluded that as much as half of the spilled oil remains suspended in the water or buried in seafloor and coastal sludge. We're left to wonder how all of that oil will affect the many ecosystems within the gulf-- and for how long will the oil's effects continue. NatGeo addresses some of those questions with an incredible interactive graphic, Layers of Life. You'll find a frame-filling illustration divided into four zones: coastal ecosystems, bright surface, twilight zone, dark and teeming. Birders will note immediately the variety of bird species highlighted in the coastal ecosystems zone: Clapper Rail, Tricolored Heron, Wilson's Storm-Petrel, Royal Tern and Magnificent Frigatebird.